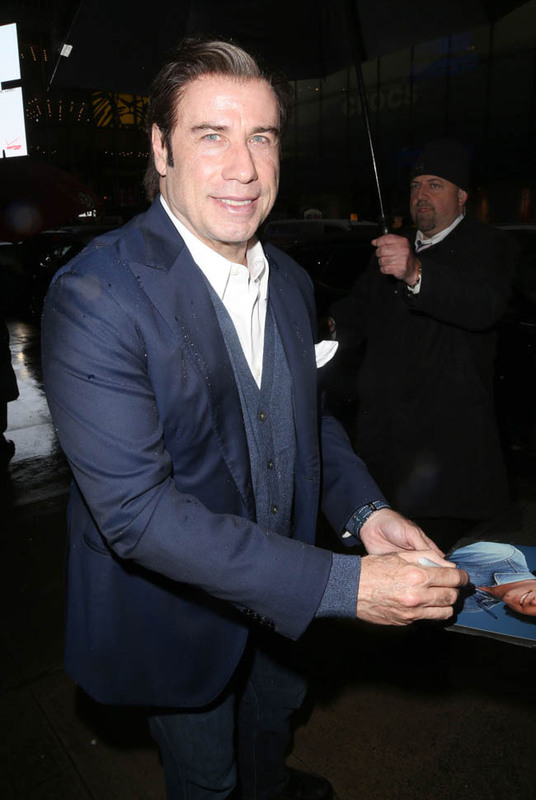 John Travolta is currently promoting a movie called The Forger. 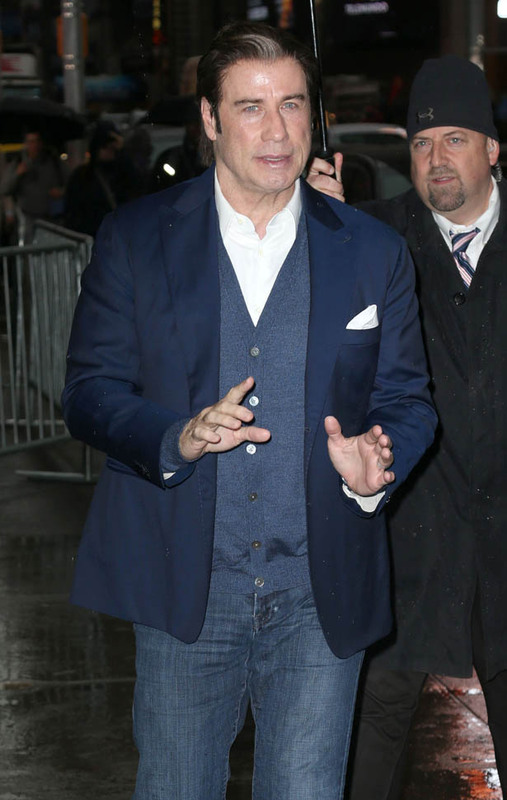 He was in New York yesterday promoting the film on Good Morning America and Letterman. 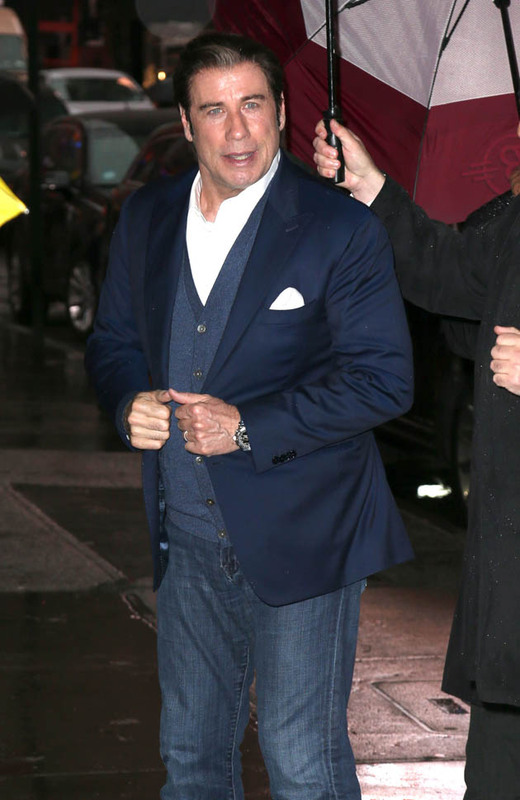 During the interview with GMA, he was asked about HBO’s Going Clear. I’ve embedded the video below. John is asked to explain why his Church is such a target, why people are so critical of it. 2.Scientology works. So people want to tear it down. In other words, Scientology is like Oscar backlash. 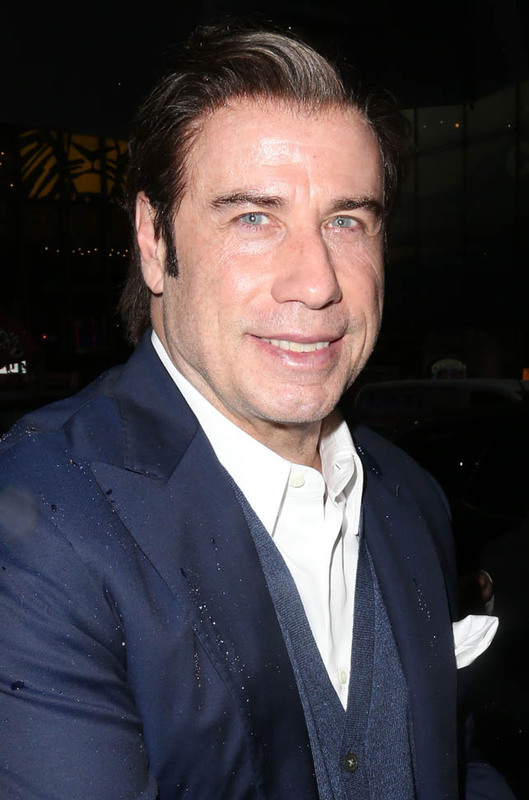 Also, as a Scientologist, John Travolta has saved lives. Including his own life. That never gets old for me. It’s just so f-cking weird! They walk around putting ethics in people. WHAT DOES THAT MEAN!?! This is a religion that creates heroes. It’s almost as though people who aren’t Scientologists aren’t capable of being kind, rescuing people. The rest of us over here – we don’t know what courage is. Scientology IS courage. F-ck the fireman. Let the Scientologist run into the burning building. Don’t call the police, call Tom Cruise. 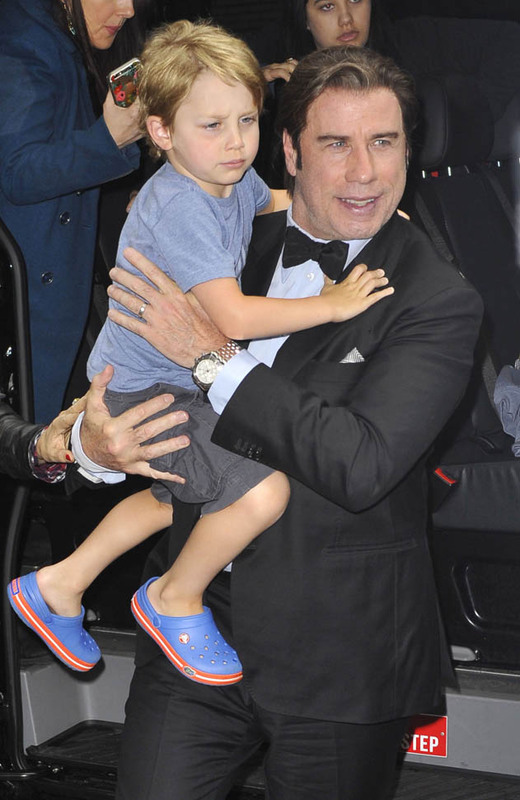 If he’s busy, John Travolta will show up. Because he has the experience too. He’s telling you that, can’t you hear it? 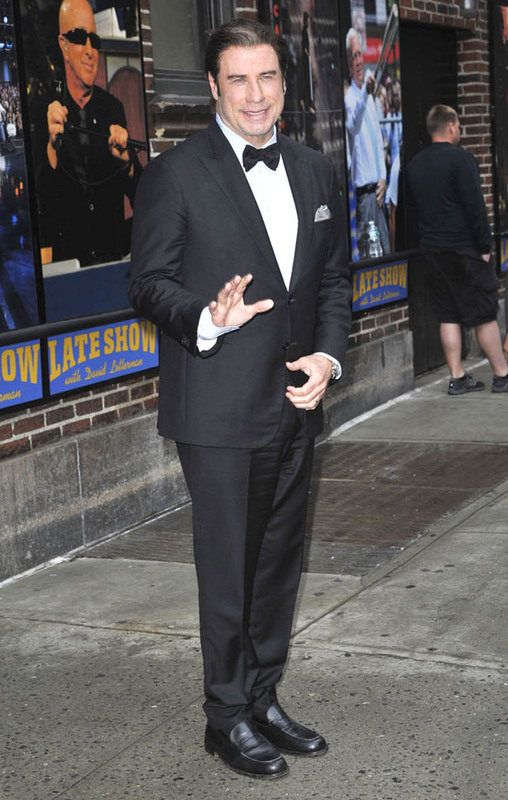 Anyway, later on it was time for Letterman. 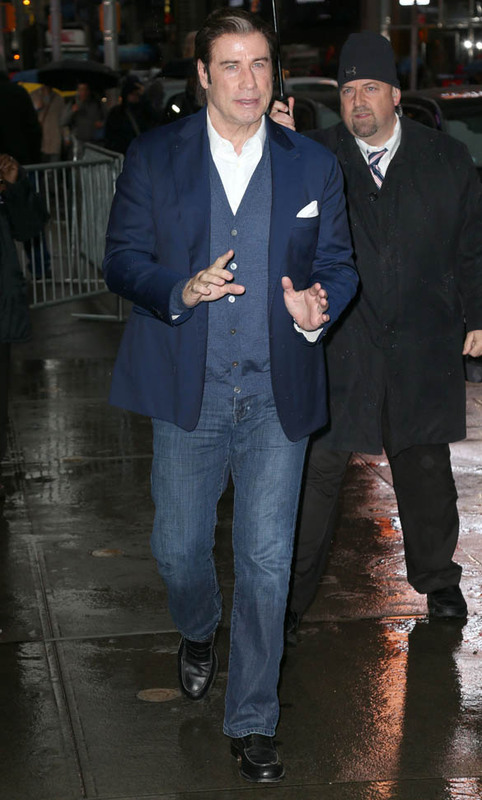 No talk of Xenu at Letterman. But Kelly Preston and their kids were there. And he tried to bring his 4 year old son Ben on stage but Ben did not react well to the spotlight. Ben’s got some personality. I hope he doesn’t get sent to the boat. And I mean that seriously.